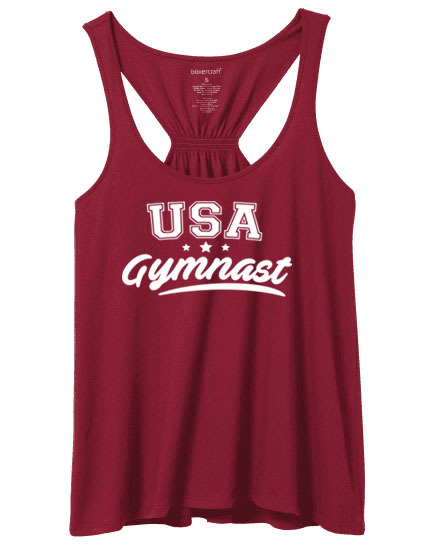 Loose fitting 100% ringspun cotton USA Gymnast crimson tank top. 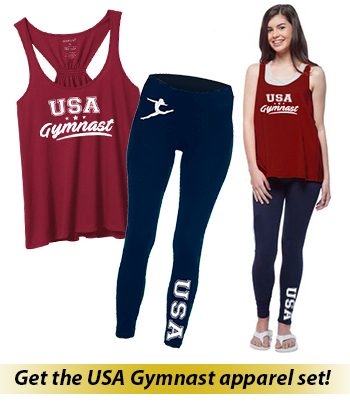 This tank top flares at the bottom, and has a cinched elastic racerback. 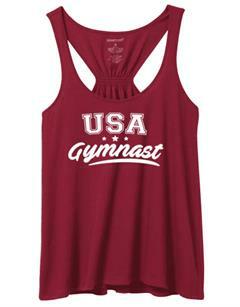 This is a great a comfortable tank top for warmer weather or to lounge in.